2016, now behind us, was quite a year. For event managers, 2017 trends predict this year’s events will be driven by tech, creativity and innovation, while delivering memorable experiences is going to matter more than ever. Nobody knows yet exactly how the fallout from Brexit and the Trump election of 2016 is going to impact the broader business world. What we do know is that uncertain times call for decisive action. Key industry events are not going to stop being held because the world around them is changing, currencies fluctuating and political power shifting. The focus of event managers will be firmly on building around strategies proven to deliver regardless of outside forces. Stretching the budget is likely to be a running theme this coming year but that doesn’t mean cutting back on quality. Delegates will expect more because expectation only goes one way. Instead of reducing spend, savvy event professionals will sharpen their pencils and start negotiating for added extras in every deal. 2017 is about lean strategies that pack a punch. You want to reduce waste, engage more people using great content delivered brilliantly that expresses broad meaning to a diverse audience. Maybe, this isn’t a job for a human at all. Robots are hot; it’s official. 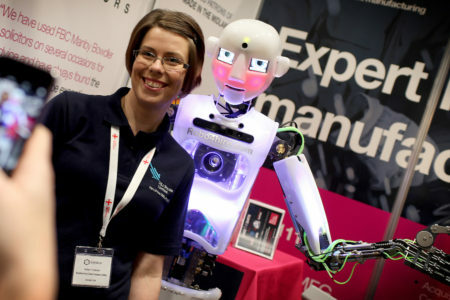 Last year, Pepper, the Japanese humanoid robot who understands human emotion, sold out within a minute of going on sale. Humans, Channel 4’s most successful series ever, is in its second series and the Science Museum opens its new Robots exhibition in February 2017. 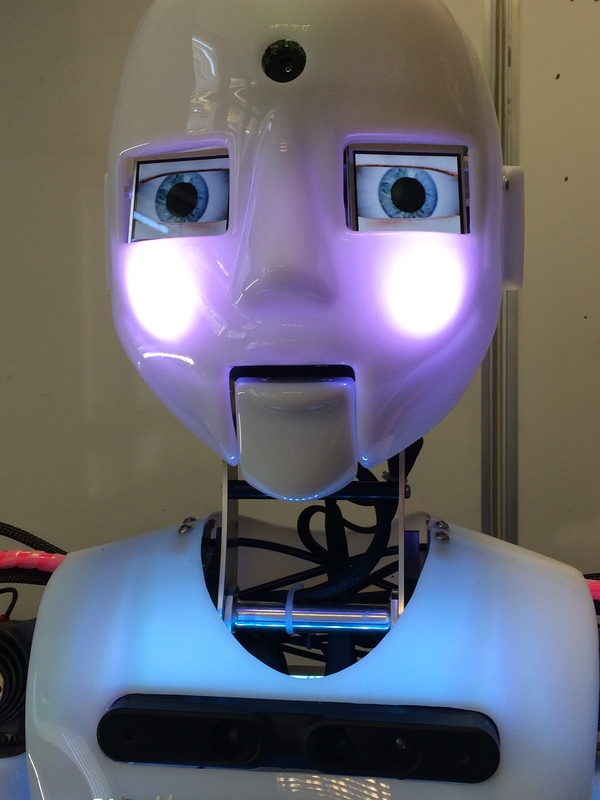 Capitalising on the popularity of robots at your event brings you instantly up to date culturally, commercially, politically and scientifically. More than that, the latest robot technology means they are also incredibly cool. Events were made for robots. Nothing can quite prepare you for your first encounter with a humanoid; how charming they are, how amusing and how appealing. They are also talented. They can greet people as they enter, move around the event to entertain the crowds or deliver the keynote speech. For event managers and marketers, robot possess a multi-level capability to capture attention, deliver messages and entertain while giving visitors an experience they’ll never forget. According to the new 10 Event Trends for 2017, released by EventManagerBlog.com, most important for the coming year will be providing a high quality, memorable, inspiring experience for your visitors in ways that celebrate diversity, inclusivity and unification. 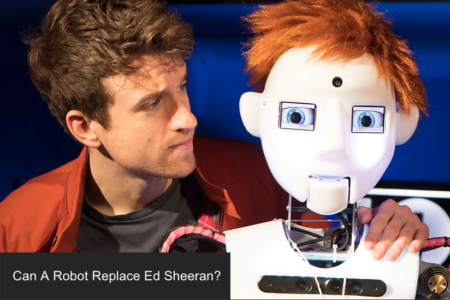 That’s quite a list to bring together – and that’s where a robot comes in. 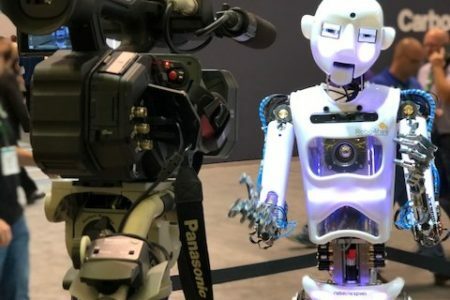 Here we’ve outlined the top five ways in which using a robot to host or feature at your event is a simple, cost effective way of creating an experience that ticks multiple boxes and, in an increasingly competitive environment, makes you stand out. For an experience to hit those memorable and meaningful notes event pros and marketers aim for, it must inspire an emotion in us. Psychologists have been scratching their heads for years trying to figure out why we love robots so much. Theories range from a love of our own reflections to a desire for control. Whatever the reasons, the fact remains that robots delight and mesmerise us. Your message delivered through a robot is going to get you remembered. Embracing and representing diversity is an important matter regardless of event theme or location. Get it right and you’re established as an inclusive brand that promotes unification and equality. Using a robot to address a highly diverse crowd or issues of diversity can be a great way of delivering an important message in an engaging, neutral way. Humanoid robots are the ultimate outsiders. Created by us to look similar and yet remain utterly different from humans, they reside within our midst as observers of the best and worst of us. This status gives them the perfect platform to homogenise humans into one, unified race. A robot key note speaker is not only going to create a fantastic talking point; it is also likely that you’ll save a lot of money on speaker fees. Robot speakers can be fully programmed to deliver a speech in advance, or using Telepresence, a human can speak through the robot. Robots are reliable. They won’t turn up tipsy, fluff their lines, slip into controversial territory or tell inappropriate jokes. Afterwards, they are also available for Hollywood impressions – they never have an off day or get tired of entertaining. Hiring a robot is surprisingly low in cost. However, particularly if you’re going to have a robot speaker, it’s wise to go for a hire service that includes direct-to-site delivery of the robot as part of the price. Ask also what else is included in the cost and, critically, make sure an expert technician is included to stay with the robot for the duration of your event. A recent MICE article, said that great content delivered in new ways to delegates who expect more every year is going to be a key focus for event professionals. This is about more than spreading messaging across social media or using clever mobile phone apps. This is about integrating those things in your lead-up marketing campaign into something tangible at the event itself. 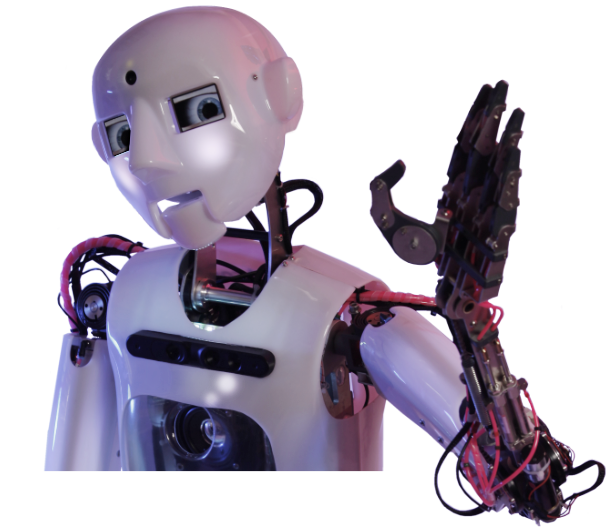 Robots can be programmed to respond to QR codes, human movement or other triggers. For a highly personalised experience, understand how you could use personal data in a name tag to generate a response from the robot, for instance. Event professionals are often looking for memorable, brandable items they can use as giveaways, that deliver great value for money. The problem with giving away items, such as the perennially popular pen, is that a pen can be quickly lost and all cost and brand relevance associated with it, wasted. In giving your delegates an exceptional memory you are giving them something that can stay with them forever. They will talk about that memory for a long time to come, bringing up your event name every time they do. The robot alone is enough to inspire a long-lasting memory. Now attach to that emotional imprint the robot speaking your messaging and reflecting your brand; it’s a powerful marketing mnemonic that can never be thrown away.